The Washington County Board of County Commissioners announced today that it has appointed Linda Murray to fill the school board seat on the Washington County Board of Education that was left vacant when the Maryland State Board of Education removed Karen Harshman for wilful neglect of duty and misconduct on April 25. Murray was the odds-on favorite heading into the selection process, given that she is held in high regard among Washington County’s Republican establishment as well as the Washington County Teachers’ Association. Myers made a public statement today in support of Al Martin. Baker and Keefer said they believe both candidates are “outstanding people.” The final vote total was 3 votes for Murray – Cline, Baker and Keefer – and 1 vote for Martin – Myers. Commissioner Barr was absent from today’s meeting. According to sources, Commissioner Wayne Keefer and Terry Baker were pushing Murray’s appointment to the school board last month at the annual Republican Lincoln-Reagan Day dinner, hosted by the Washington County Republican Central Committee. Several individuals who attended this year’s Republican dinner overheard Keefer and Baker stumping for Murray’s appointment to the Board of Education. The Washington County School Board Nominating Commission was rocked with partisanship from the outset after the five Republican commissioners appointed Jerry DeWolf, the head of the Washington County Republican Central Committee, to chair the nonpartisan nominating commission. Several Washington County residents spoke against the decision of the commissioners to appoint DeWolf to lead a nonpartisan selection commission. 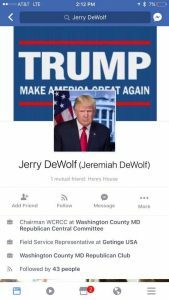 Sources also report that some commissioners decided to appoint DeWolf to the nonpartisan commission in an attempt to curry favor with the Republican Central Committee. With the impending resignation of the Allegany County Register of Wills, Delegate Mike McKay is expected to be appointed to fill Rebecca Drew’s position. Sources speculate that DeWolf, leading the Republican Central Committee in Washington County, in turn support to appoint Baker to fill McKay’s seat in District 1C in the Maryland House of Delegates. DeWolf has made several public statements to media during the course of the selection process that suggested that a school board candidate’s political ideology would not be discounted in the selection process. 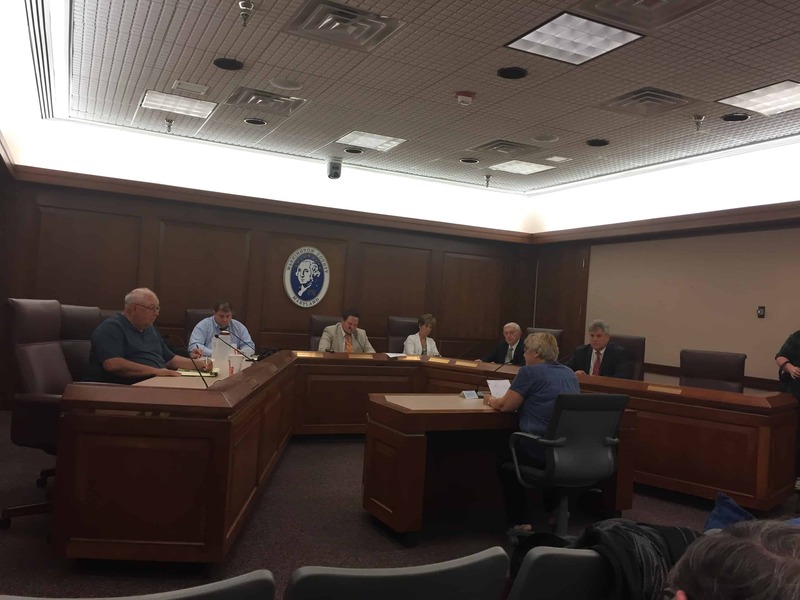 The seven-member nominating commission met on Thursday, May 25, for a public hearing at Washington County’s administrative complex in downtown Hagerstown. After members of the public spoke in support of or in opposition to certain candidates, the commission broke for a brief deliberative session. The commission reassembled after a half hour to announce that Al Martin and Linda Murray were the finalists whose names would be forwarded to the commissioners. The commission reassembled after a half hour to announce that Al Martin and Linda Murray were the finalists whose names would be forwarded to the commissioners. Both Murray and Martin were unsuccessful candidates for the school board in 2016. 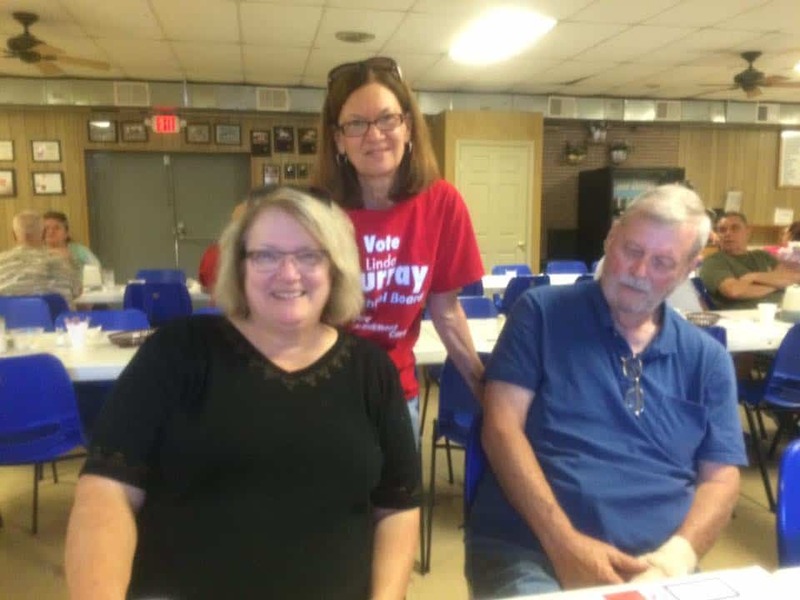 Murray campaigned alongside Melissa Williams and Stan Stouffer during the 2016 school board race. Moreover, Karen Harshman publicly endorsed Murray’s candidacy, encouraging her supporters to vote for Murray in the 2016 November general election. Murray will be quickly sworn in to fill the remainder of Harshman’s four-year team; Harshman’s term expires in December 2018. Murray has indicated that she intends to run in 2018 for a full term.